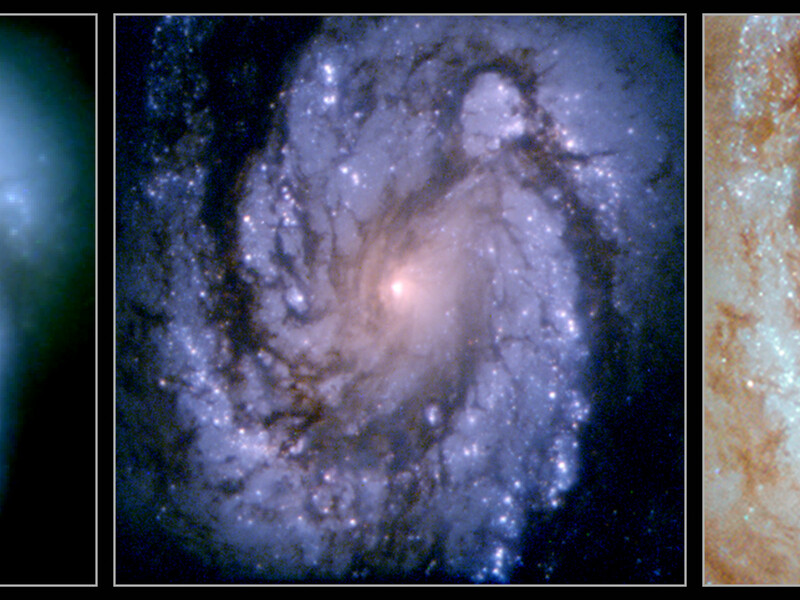 The leftmost image was taken in 1993 with the Wide Field and Planetary Camera 1 (WFPC1) — Hubble’s first camera. 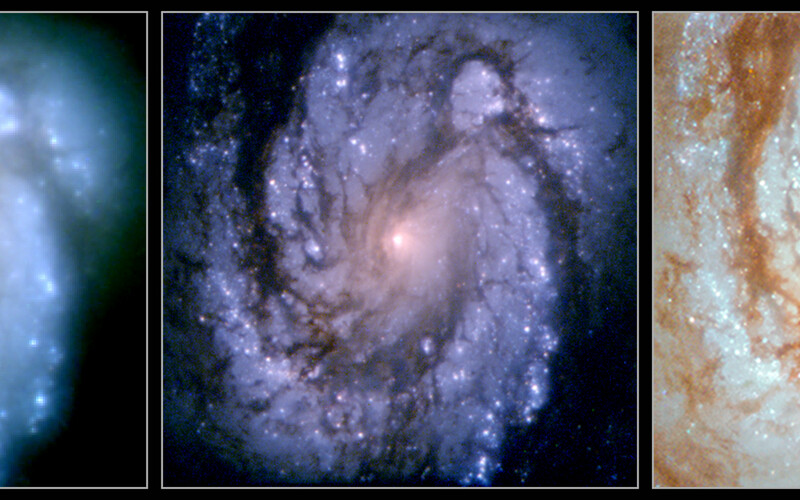 The image is blurry, caused by the uncorrected spherical aberration of Hubble’s main mirror. The light striking the edges of the mirror was not travelling to the same focal point as the light from the centre. The second, middle, image was taken in early 1994. with the newer Wide Field Planetary Camera 2 (WFPC2), which was installed during Servicing Mission 1, which took place in December 1993. 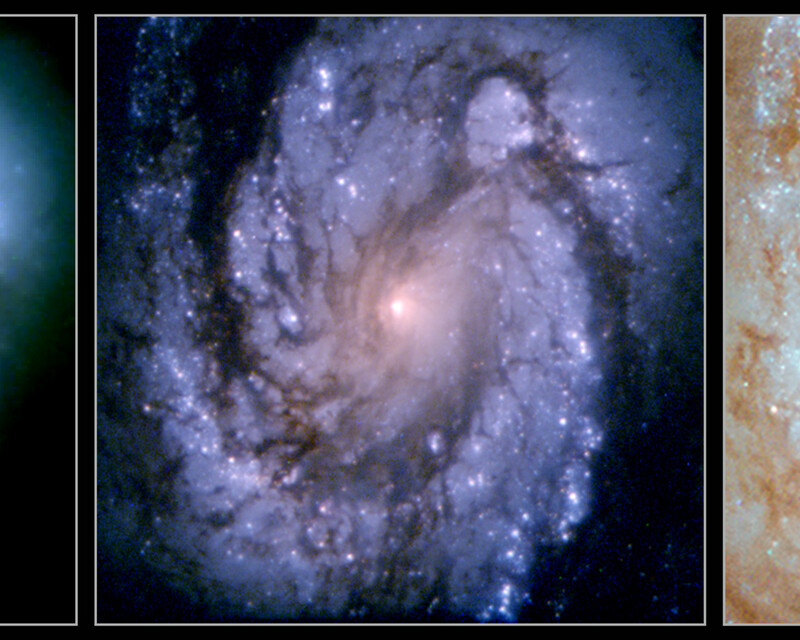 The very same mission also installed a device named COSTAR (Corrective Optics Space Telescope Axial Replacement) on Hubble, which took account of this flaw of the mirror and allowed the scientific instruments to correct the images they received. WFPC2 was Hubble’s workhorse camera for many years and was only replaced in Servicing Mission 4, the fifth and final servicing mission. The newest image — visible to the right — was taken with the Wide Field Camera 3 (WFC3) which was installed in 2009 during Servicing Mission 4. The image was taken in 2018 to celebrate the 25th anniversary of Servicing Mission 1.